2010 September 16: Where is Warwick? 2010 July 03: Future unclear plus thrifty UKP 247,000 pa.
2010 April 26: Dont let them close Wellesbourne!!! 2010 March 31: Whats going on @ Wellesbourne? The Conservative Party has published the recommendations of the Taylor review which was commissioned whilst in opposition. Minister of State for Agriculture and Food, Jim Paice said: "This report was prepared by Lord Taylor [Lord Taylor of Holbeach, Shadow Minister for Environment, Food and Rural Affairs] for the then Conservative opposition and makes a number of recommendations which were warmly received." And he added, "DEFRA is now examining the proposals closely and will respond shortly." ... Over the last three to four decades the UK has fallen behind in total factor agricultural productivity and now lies behind the US, Netherlands, Denmark and Spain. ... The current state of research and development for agriculture and horticulture is reflective of a legacy of two decades of steady decline in public expenditure. ..., there is concern that applied subjects of greatest relevance to farming systems such as agronomy, plant breeding, livestock genetics, soil science, entomology, both crop and livestock physiology, pathology and weed science have gone through a period of significant attrition and remain vulnerable. As with any career or business activity, scientists respond to the opportunities for obtaining funding, for being recognised in their field and for progressing in their careers. Due to government withdrawing from applied, productivity-related research and the increased relative importance of fundamental science, these incentives have not been there. There is now an urgent need for applied agricultural research in the UK to be reinvigorated. the content will only be available for viewing, and only existing files will be able to be downloaded. In February 2011, we will turn off the pages and files features, and you will no longer be able to access that content. The Times Higher Education's World University Rankings are published today. Warwick University is not ranked in the top 200. Leeds, East Anglia, Nottingham, and Exeter. and the Swedish University of Agricultural Sciences (199). represent the most accurate picture of global higher education we have ever produced. John McCarthy started his research career studying the biochemistry and biophysics of electron transport-dependent ATP synthesis. In subsequent years as a postdoc and then group leader in Germany, he worked on prokaryotic posttranscriptional control, with a major focus on the diverse set of mechanisms controlling expression of the atp operon in Escherichia coli. Expression of this operon was found to be regulated by a combination of controls exerted at the levels of translation initiation, translational coupling and mRNA decay, thus enabling correct assembly of a membrane-associated H+-ATPase with the highly complex stoichiometry a3b3g1d1e1a1b2c10. Previously, the BBC reported that Business Secretary Vince Cable has signalled a squeeze on government funding for scientific research. ?The New Optimists: Scientists View Tomorrow?s World and What It Means To Us? ... "Lack of consistent funding has led to a reduction in R&D capability. There has been no overall strategic view on what is the minimum requirement to support UK horticulture in terms of expertise and facilities and so there are now three weakened R&D facilities for commercial fruit and vegetable crops. Unfortunately project-only funding is not sufficient to maintain facilities and retain expertise. "University of Warwick are proposing creating a single School of Life Sciences which would include the Wellesbourne campus which currently carries out near-market horticultural R&D. Warwick have committed to using Wellesbourne until at least 2012. "It is anticipated that up to a third of existing posts will be lost during any restructuring and facilities are also at risk. "Redundancies for Principal Investigators (academic staff equivalent to lecturers) has now just about been completed with HRI losing over 20 and Biological Sciences 6 out of 40 each [sic]. The death has been announced of Professor John Nelder, Fellow of the Royal Society, head of the Statistics Section, National Vegetable Research Station 1951 ? 1968. Statist. Sci. Volume 18, Issue 1 (2003), 118-131. Dr Rosemary Collier is to take up the role of Research Director of the University?s "Crop Centre"
The nvrs-hri-gg staff (i.e.editorial, secretarial and web-site personnel) who run this site have been granted 4 weeks leave. Management apologize in advance for any inconvenience this may cause, and thank you for your understanding. Plant Impact announces that [they have] appointed Dr Steven Adams as director of product development. Steven's last role before joining Plant Impact was principal investigator at Warwick HRI, The University of Warwick (formerly Horticulture Research International). The Birmingham Post reports that Scientists at the University of Warwick?s Horticultural Research Institute unit (HRI) were told that 23 of the 44 academic staff are due to be made redundant at the centre in Wellesbourne, Warwickshire. The future is unclear for the 179 remaining staff, made up of field and lab technicians, research scientists and admin. The site carries out essential research into food crops for the UK. Those who keep their jobs will join staff from the biological sciences department (from October 1) to work at a newly formed School of Life Sciences. But experts at the HRI have told the university that the new department will not be enough to continue project work. ... earns (sic) UKP 247,000 a year, [and] benefits from farmhouse accommodation, owned by the university. He claimed nearly UKP 23,000 in two years ? mostly spent on university-related travel to America, Hong Kong, India and China. In one trip, he claimed more than UKP 2,000 in hotel expenses in the United States and UKP 2,246 on a trip to Hong Kong. The School of Life Sciences is being created from a merger of the Department of Biological Sciences and Warwick HRI. The aim of the ?Controlling Infections? research area within the School of Life Sciences is to bring together world-leading work on pathogens infecting a range of hosts and to address the major disease burdens in human health and agriculture. ?Infectious Agents? ... molecular aspects of a wide range of pathogens. ?Controlling Infections? ... complements and enhance work in the three other research areas of the School of Life Sciences. ?Translational Crop Genetics? ...model and crop plant systems to study key traits related to sustainable food security. Just come to hand :- "Survey of External Capabilities to meet Defra?s Strategic Requirements"
"This report provides the main results of a review conducted by Arthur D. Little for Defra, aimed at providing initial advice on priorities for managing the key strategic assets within the UK science base that Defra will have to draw on to provide evidence for policy and operations." The store houses seed and germplasm collections that are of world importance. The Scottish Government provides about three-quarters of the income of SCRI and of the Macaulay Land Use Research Institute ( UKP 3 million p.a. to SCRI and UKP 10 million p.a. to MLRI, for bespoke (sic) reseach). The organisations also have contracts from the European Union and other research sponsors. SCRI director Professor Peter Gregory said: "We have been outlining to Her Royal Highness the significant economic contribution SCRI makes to Scotland and the UK. The soft fruit and potato varieties we breed here have become market leaders. We are making major inroads in the fight against crop pests and diseases that cost farmers millions of pounds". Next year SCRI will merge with the Macaulay Land Use Research Institute in Aberdeen to form a new, food, land and climate change research organisation. It will be the first of its kind in Europe and one of the biggest such centres in the UK. The commercial arm of SCRI (Mylnefield Research Services Ltd) was established in 1989. It has made a profit in every year of trading and in the last 10 years has returned UKP 2 million in profits to SCRI in gift aid. Mylnefield Research Services partners include some of the biggest companies in the food and drink sector including GSK, Greenvale AP, McCain, Pepsico, Marks & Spencer and Limagrain. Thank you for your email of 23 May. raised, however, that funding issues have yet to be addressed. see up to eight key scientists supported by around 20 staff. "1. We?re in Private Eye ?In the Back? this week - for the right reasons. We?ve been reporting that the University of Warwick is closing Wellesbourne research station. it was gifted at a knock down price. Investigative journalism at its finest." a stand-alone Applied Crop Research Centre. and the capabilities of a number of staff within Warwick HRI that were valued by industrial partners? will continue to examine the sustainability and commercial basis of the proposed Centre. that clarifies the factors that contributed to the decision taken by the Governing Body of Wye College to merge with another institution. for the formal merger in August 2000. ...The Record has been produced as a documentary. All entries and references are evidence-based, and the source documents are held by the Agricola Club. appear to have been solved (by Google). Warwick's head of communications Peter Dunn said he was getting "very good vibes" of a "plausible plan" that could receive support from industry and government. and the stress this is causing ..."
The only concessions made by the University were that degrees would still be awarded, and that PhD students who lost supervisors would be handled by the Chair of the Board of Graduate Studies, Professor Lee Bridges. No solid guarantees could be made on the quality of degrees, or on the support procedure for postgraduates. at a pool of 83 people across the two facilities. That pool will be reduced to 51 academic staff who will go onto work at the new centre." together with 175 research and support staff, plus PhD and Msc students. which is set to fall to UKP 200,000 by 2012." We call on Warwick University to reconsider and stop its plan to close the facility for Horticultural Research at Wellesbourne, known as Warwick(HRI). We ask them to follow the recent report of the Royal Society 'Reaping the Benefits' that recommends: "Universities should work with funding bodies to reverse the decline in subjects relevant to a sustainable intensification of food crop production, such as agronomy, plant physiology, pathology and general botany, soil science, environmental microbiology, weed science and entomology." ...Much of the discussion is about the loss of jobs, the loss of expertise, the loss of competitiveness and so on. These are hugely important topics, on which I don?t feel qualified to comment. Then there is the apparent duplicity and callousness of management at Warwick University, which does have a reputation for its strength in ?business?. On balance, though, it does seem to be just a bit short-sighted for governments to promote food security, exhort people to eat more nutritious food, and then stand by while one of the few places still able to deliver both is closed. that is, on the old LARS site. Twitter says that the latest issue of Warwick HRI student newsletter ('Opening the door to Warwick HRI') is just out. "and the application of research to improve crops and the environment. "biometrics, genomics and bioinformatics. etc (sic)"
Not a word about redundancies. Long Ashton gone, Silsoe gone, Wye gone, the Plant Breeding Institute sold long ago to Unilever -- and now Warwick University plans to close the world-renowned Vegetable Research Station at Wellesbourne, known these days as Warwick (HRI). In short: though Hilary Benn called for more home-grown food, and the then government as a whole seemed dimly to become aware that Britain could not continue to rely on foreign countries to feed us, the systematic dismantling of Britain's farming infrastructure continues. But some people are determined not to allow Wellesbourne to be sacrificed. Charlie Clutterbuck explains why. For those of you with a Facebook account, you can find my group 'Save Warwick HRI @ Wellesbourne' on my page. Join and spread the message! The New York Review of Books April 8 2010 (Vol LVII Number 6 page 32). The first round of the redundancy process has begun, with the sending of "your position is provisionally at risk" notices to senior staff judged surplus to requirements. They have a month in which to appeal. After any appeals have been considered, final redundancy notices will be sent. In a second phase, "at risk" notices.will be sent to all the other members of staff judged surplus to requirements. In my capacity as chair of the All-Party Parliamentary Group on Science and Technology in Agriculture, I am writing to express the Group?s deep concern at the impact on the UK?s agricultural science base of the creation of a new School of Life Sciences, in a process that will lead to the closure of Warwick HRI. I was grateful for the opportunity to discuss it with you. The group is mindful of the financial pressures that the University faces. However, our concern is for the UK-wide capability to undertake applied science in this field. We hold the internationally renowned Warwick HRI site at Wellesbourne in high esteem and are disturbed at the potential loss to the UK of an important asset to the food and agriculture industries. Academic staff at Warwick HRI are calling for the merger process to be put on hold pending an independent review of the potential impact of these changes on the UK?s ability to meet the food security objectives set out in the Government?s recent Food 2030 Strategy. We believe there is a need for a better understanding of the impact that the loss of Wellesbourne might have. Consequently we are supporting calls for an impact assessment and are directing this request to the Government as well as to the University of Warwick. Addressing members of the All-Party Group earlier this week, the Government?s Chief Scientific Adviser Professor John Beddington highlighted the urgent need to re-build the innovation chain within the UK agri-food sector and in particular to strengthen the links between the advances taking place in basic science and their translation into practical on-farm application. We hope that you will consider your proposals for a new Life Sciences School in this context and I look forward to hearing from you. could be of critical importance to stakeholders but might not be sustained through the new School for financial reasons. once the School had been established and the levels of support that might be available. "What has Professor Tim Jones been asked to do? in supporting and sustaining an industry-facing crop science research facility. working with stakeholders and relevant staff. that he intends to report back by the end of April on that possibility. The University will consider any options arising from this investigation as quickly as possible once they are received. 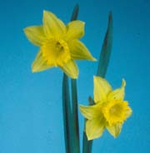 The deadline for comments to be received by the District Council is 5.00pm on Thursday 8 April 2010. "At risk" notices will be sent, beginning on April 19th . Thank you for your email of 22 March to Hilary Benn about Warwick HRI. I have been asked to reply. We appreciate your concerns. Warwick HRI is an important centre for horticulture research in the UK, which we recognised when we provided transitional funding to facilitate the transfer of the organisation into the University of Warwick. It is clearly a matter for the University to run its own business. However, Hilary Benn has reminded the University of the importance of this resource and encouraged them to consult fully with stakeholders on their future plans and will continue to do so. To help us provide you with the best service we can, we at the Defra Customer Contact Unit would appreciate your views on the quality of service we have provided in replying to your letter. Please take a couple of minutes to complete our online survey at http://www.surveymonkey.com/s/GZVP53N. Thank you . Charlie Clutterbuck has a page Whats going on @ Welleshourne? "This page is aimed to help save the Warwick (HRI) Research station. We welcome all comments that can further that end." That this House is concerned that the planned merger of Warwick Horticultural Research Institute (HRI) and the University of Warwick's Department of Biological Sciences will result in the closure of the internationally renowned Wellesbourne site, further eroding the UK's applied agricultural and horticultural research capabilities at a time when policy imperatives recognise the urgent need for such research to address the threat to food security posed by population growth, climate change and environmental degradation; calls for the redundancy process facing most of the academic and skilled technical staff at Warwick HRI to be halted pending a proper independent review of the potential impact this merger will have on the UK's ability to meet future food security objectives; and asks the Secretary of State for Environment, Food and Rural Affairs personally to intervene to ask the University of Warwick to consider the impact of this decision on the UK's agri-food science base. "Even at this 11th hour, why is it not prepared to move back to the position when HRI was sold to the University of Warwick? Late last year you reacted to the article ?here-we-go-again-uk-genebank-threatened? written by Jeremy Cherfas outlining possible threats to the future of the Warwick HRI Genetic Resources Unit. At that point I wrote to say that we knew very little about the University of Warwick?s intentions for the future of the Wellesbourne site and for the Genetic Resources Unit in particular. All of you offered to lobby on our behalf if we needed it. Over the last few months we have witnessed the University developing their plans to create a School of Life Sciences. In recent weeks the Wellesbourne stakeholders (funding bodies & horticulture industry representatives) have lobbied the University & Government to keep an applied Crop Research Centre at Wellesbourne. The GRU staff see the Crop Research Centre at Wellesbourne as a potential life line providing it maintains the site in terms of service utilities along with a level of administration & management. The GRU staff members have asked the University & the Department of the Environment, Food & Rural Affairs (Defra) representatives for a clear statement on the future of the GRU. The University representatives make general comments, such as the GRU is a valuable asset for plant science. We have received no comment from Defra, indeed last week at a meeting of the UK Plant Genetic Resources Group the Defra representatives were asked directly for a statement on the future of the GRU and were unable to answer. The Life Sciences process has entered a new phase in terms of all academic staff having had the first of 3 possible redundancy interviews. So the University is now moving the quickly in terms of decisions being made on the future of staff. The situation is very worrying in that the Life Sciences redundancy process seems to be moving much faster than any ideas to develop a Crop Research Centre. It is hard to see how the GRU can fit into the Life Sciences academic scenario outlined by University, which is based on teaching and ?cutting edge? science. A further concern is that if we do not get any indication outlining a possible future for the GRU soon, the GRU staff will take the short-term attractive option of voluntary redundancy or will simply leave. Either way the vast experience of the staff within the GRU will be lost. The academics at Warwick HRI have written to Government Ministers to lobby for the wide range of world class research currently carried out at Wellesbourne. I believe it is now time to ask you and any other willing international colleagues to lobby on behalf of the GRU, if only to ask the University of Warwick and Defra for a clear statement on the future of the Warwick HRI GRU. It will be important to stress the long term nature of the work and that a short term fix for 2 to 5 years in the Crop Research Centre is not a solution. We ask that you contact the Rt Hon Hilary Benn MP, the UK Secretary of State for the Environment (bennh@parliament.uk ) and Prof Nigel Thrift, the Vice Chancellor of the University of Warwick (Nigel.thrift@warwick.ac.uk ) to ask for a statement of the future of the Warwick HRI Genetic Resources Unit. I am happy for this note to be forwarded to anyone that you feel will support this request and lobby on our behalf. examining Defra science yesterday (17 March). and Horticulture Week's Magda Ibrahim. "Atkinson explained to the meeting - which included speakers from BBSRC and the Environment Agency - there were benefits in applied science. "We are currently in a situation where there is a lot of discussion about the future demise of horticultural research at the University of Warwick,"
"I believe Defra is keen on funding applied research into food systems but we need rapid responses otherwise further institutions will close." including for ornamental horticulture, as well as future funding for Warwick HRI. "We understand there are a lot of small scale producers and I don't know whether or not Defra will continue to fund this sort of research. "To find out more and read the full story see Horticulture Week magazine on 26 March. universities for the year 2010-11. The University of Warwick will receive UKP 33.316 million. This is an increase of UKP 0.963 million, or 3.0%, on the 2009-2010 grant. the HEFC has rejigged the funding formula to favour "world leading" research. just behind the University of York, just ahead of the University of Brighton. The University has announced the numbers of staff to be made redundant through the creation of the new School of Life Sciences. The figures are higher than anticipated, and have reignited outrage amongst the student community. In the School of Life Sciences there will be the fulltime equivalent of 55 academic staff, which includes 5 teaching fellows responsible for teaching undergraduates, 49 principal investigators ? each of whom leads an area of research ? and the new School?s head of department. across the existing Biological Sciences Department and Warwick Horticultural Research Institute (HRI). The prospect of losing over half of the principal investigators is one that has caused concern and anger amongst current students. Principal investigators are responsible for supervising postgraduate research students, and while the University insists current postgraduates will be able to continue with their research in the event their supervisor is made redundant, students involved are doubtful. The future of the HRI site in Wellesbourne, south of Leamington Spa, may also be threatened by the merger. HRI, which is roughly the same size as Warwick?s main campus, features 120 acres of farmland, numerous specialised greenhouses, quarantine areas, and laboratories. It also houses the Genetics Resource Unit, an important library of plant genetic material, and a UKP 5 million genomics laboratory. Much of the work done at HRI is unique to the site, and it is one of the few remaining crop science centres in the UK. The University denies that it has any plans to close the site. 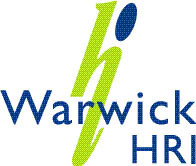 ?We are not closing Warwick HRI ? it?s being merged with Biological Sciences. There are no plans for the Wellesbourne site post 2012. We expect to have research activity on the Wellesbourne site till around 2012 and we continue to have discussions with funders as to whether there is interest in funded activity at Wellesbourne beyond that point,? said Peter Dunn, the University?s Press Officer. The University stated that the reason for ending HRI?s existence as a separate centre is that ?it?s [running] a UKP 2 million a year deficit and that is likely to grow significantly in the long term?. ... ... ... ?BBSRC, DEFRA and a range of horticultural and agricultural organisations? were consulted in the merger process and that ?we continue to have active discussions with them?. This was confirmed by Dr Bill Parker of the Horticultural Research Company (HRC) [Note2], who told the Boar, ?We?re in discussion with Warwick at the moment. HRI is one of our major contractors, some of the people are key deliverers for us. The fact they?re at risk is of great concern to us.? Warwick?s consultation with HRC began before Christmas, Parker said, but added that the ?initial announcement came as something of a surprise?. Most of the consultation had taken place ?in the last couple weeks?. Students complained that after the proposals were announced in October, they were given just 16 days to come to terms with them and write a response. ?Four weeks after the biggest cohort of PhD students in HRI?s history had started, they were told they?re likely to lose their supervisors within a year,? said one student. The University, when asked why students were given 16 days to respond, and whether their views had been taken into account, said: ?The responses of a great number of interested parties have been taken into account.? James Plaskitt, MP for Leamington and Warwick, said: ?I have a lot of concerns about the way that students learnt about the merger and I have asked the administration to improve the communication. There should be extensive consultation on a one to one basis.? Horticulture Week has learned that Defra secretary Hilary Benn has summoned Professor Stuart Palmer, the interim chair of the School of Life Sciences at the University of Warwick, for talks about the future of horticultural research station HRI Wellesbourne. The news follows industry talks on 2 March, chaired by Agriculture and Horticulture Development Board chief scientist Ian Crute, about the future of the site once HRI Wellesbourne is amalgamated into a new life science school. Over the next six to eight weeks, Professor Tim Jones, from the university's chemistry department, will hold individual meetings with stakeholders to formulate a plan for a possible industry-led research unit to retain applied R&D activity. Crute said: "It all seems to hang on the way in which this unit will be separate from university financial accounting. My sense is that the ambition is to start something fairly modest but robust." NFU, HTA, National Horticultural Forum, Defra's farming and food science deputy director Sue Popple and Beddington's colleague Elizabeth Warham all attended. Horticultural Development Company chairman Neil Bragg said: "Warwick HRI has been the preferred contractor for Defra for some time and I think the worry is that there could be a gap." Professor Stuart Palmer's meeting with Benn is expected to cover plans for the new academic department of life sciences, which will have around 55 "principal investigators", down from around 90. A source, who did not wish to be named, explained: "It seems this is a sign that Defra, at the highest level, is now taking an interest in Warwick HRI." Defra transitional funding for the Wellesbourne site runs out in 2012. NFU chief horticultural adviser Phil Hudson said: "It is understandable Hilary Benn would want to discuss the implications of the plans at Warwick on R&D given that Defra has put a considerable amount of money into Wellesbourne." But another industry figure told HW that without providing funding, Defra could not pull any strings. "Hilary Benn cannot force people to do things that are not financially sound," he said. "find new ways to develop improved pea varieties for the high profit margin food market. They will also study the likely impact of greater uptake of legume farming on nitrogen fertiliser use." to below the stated minimum. Options for the future of Wellesbourne research station will be tabled during a stakeholder discussion at the University of Warwick next week. Although the university's senate approved draft proposals for Warwick HRI Wellesbourne to be absorbed into a new School of Life Sciences last year, a new paper exploring an industry partnership will be presented at the meeting on 2 March. However, it is expected to contain ideas for how Warwick HRI might continue as an industry centre linked to the new School of Life Sciences. The university, which has stated that it cannot continue to meet the deficit of running Wellesbourne, will explore possible solutions centred around industry partnership. It is already in talks with the Biotechnology & Biological Sciences Research Council, the Agriculture & Horticulture Development Board (AHDB) and the Horticultural Development Company (HDC) over future funding streams for the site. But these discussions will "go on for months, if not years", according to a university representative. AHDB chief scientist Ian Crute will chair next week's meeting. Crute told HW he "imagined the options are fairly straightforward". He explained that the options are to "move to straight closure, develop something with an applied focus or seek an alliance with other organisations". Following this first discussion, a further meeting will take place in May to extend the talks to more specialised stakeholder groups. HDC chairman Neil Bragg added: "Industry partnership is a good idea but the trouble is finding the partners who will be able to put in the money." HTA director-general David Gwyther said: "The industry has had a partnership with Wellesbourne in the past through levy funding and we need to find a way of cranking that up." NFU chief horticultural adviser Phil Hudson said he was "keen to hear whether there are any viable alternatives". "A draft letter to the minister of agriculture, calling for a solution to the research and development crisis was in discussion at the BPOA AGM at Hellidon Lakes in Daventry last week. "It was submitted by an anonymous grower who proposed members agree on the text before passing it on to politicians at next week's NFU AGM. "However the 30 BPOA members at the meeting agreed to delay action on the research and development crisis in a bid to develop a properly thought out strategy. "It was agreed that a sub-committee would be created to sound out members views and present a firm position at the NFU AGM in 2011. "It was agreed that a sub-committee would be created"
"Saved - How an English village fought for its future ... and won"
Despite the tremendous campaign in Horticulture Week by distinguished scientists to save it, research funding is being slashed. Warwick HRI is to be closed. Research requires long term funding to guarantee jobs or scientists leave and go elsewhere. When Efford was closed there was a government pledge to establish long term facilities at Warwick so it would be wholly appropriate to have the facilities such as the multi factorial unit, growth chambers etc which were installed provided at Stockbridge house or East Malling Trust. This has to be agreed and acted on quickly by the NFU. The UK no longer holds 60 days of food supplies as it used to. I have been given to understand it is down to 20 days, maybe lower. Sustainability of the food supply must be the government's number one responsibility. The UK can no longer rely on the rest of the planet as a food bank because the Worlds ever increasing population demands increased standards of living. If there was an international threat to food supply from a climatic disaster or other incident, what would the UK's population do? The UK has one of the best world climates for home production but this has to depend on research to produce more per hectare. Better security is needed from the ever increasing queue of pests and diseases waiting to spread into the UK. UK producers already subscribe to Agricultural research but the responsibility must be shared. Whilst undoubtedly the multiples have contributed to the UK's "well being" they depend on food as the main bait to entice the public into stores. My suggestion is that Government sets up a compulsory food security levy for multiples (similar to the one operated by HDC producers) to take from their profit margins one penny in every pound on fresh produce registered through the tills. All multiples need food security and traceability and it is easier to achieve this in home production. Jobs are essential and in short supply and would be increased by home production. The fund would be similarly administered to our HDC committee system but there would be a similar separate supermarket committee, both of these bodies would forward their recommendation to an "Apprentice" type three person committee with a Government Minister who would allocate the funds. Jobs are now a major issue; this would generate good long-term quality rural jobs. The plan is a win for sustainable UK food supply, a win for UK jobs, a win for the multiples supply chain, a win for all UK producers and a win for all UK residents." Today the Times Higher Education has a piece "Knight rides in to Warwick to clean up layoff mess"
Their blunders and their refusal to set them right are a stain on British Higher Education as a whole. There are concerns too for other Departments and Centres within Warwick. by merging the Department of Biological Sciences with Warwick HRI. and funded by Defra and the BBSRC. on condition of becoming a full University Department. and was one of only two Departments within Warwick to receive a top place ranking. and it looks set to result in 40 academics at Warwick HRI and Biological Sciences being made redundant. of the Research Councils or Defra and will result almost certainly in the closure of the Wellesbourne site. including many of the country's outstanding agricultural scientists. This is a national disgrace and I'm afraid it illustrates the management culture within the University at present.